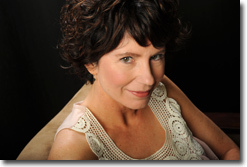 Paula McLain received her MFA in poetry from the University of Michigan and has received fellowships from the Corporation of Yaddo, the MacDowell Colony, the Ucross Foundation, the Ohio Arts Council and the National Endowment for the Arts. Her first book of poetry, Less of Her, was published in 1999 from New Issues Press and won a publication grant from the Greenwall Fund of the Academy of American Poets. She's also the author of a second collection of poetry, Stumble, Gorgeous (2005), a memoir, Like Family: Growing Up In Other People's Houses (2003), and the novel, A Ticket to Ride (2008). 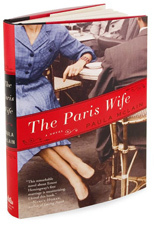 Her most recent book is The Paris Wife (2011), a fictional account of Ernest Hemingway's first marriage and upstart years in 1920's Paris, as told from the point of view of his wife, Hadley. She teaches in the MFA Program in Poetry at New England College, and lives with her family in Cleveland.